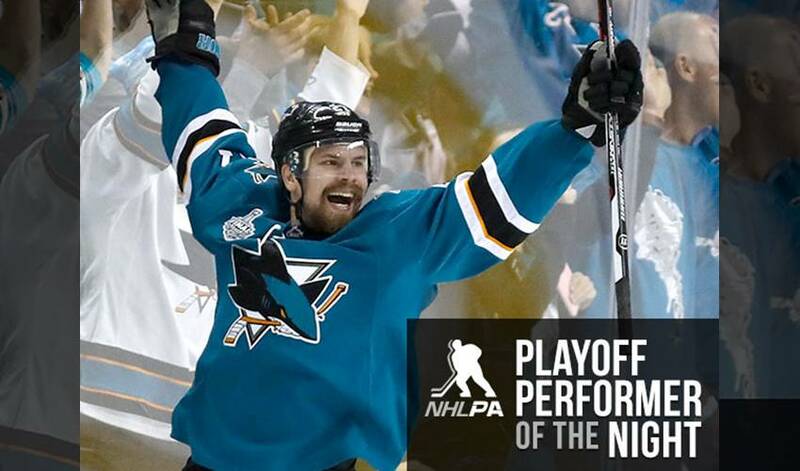 Joonas Donskoi is the PPOTN honoree after his winning tally in San Jose’s Game 3 triumph over Pittsburgh in the Stanley Cup Final. The right-winger scored in overtime and also had an assist as the Sharks got past the Penguins 3-2 on Saturday night. STAT PACK: Donskoi had three shots, was a plus-2, recorded two takeaways and took 33 shifts in 19:09 of ice time. IMPRESSIVE COMPANY: Donskoi became the first Finnish player since Jari Kurri to score an overtime goal in the Stanley Cup Final. Hall of Famer Kurri did it for the Edmonton Oilers against the Philadelphia Flyers on May 20, 1987. LEADING THE WAY: Donskoi led Finland in goals (5) and game-winning goals (3) at the 2015 World Championships. GREAT START: Donskoi scored his first NHL goal in his first NHL game, October 7, 2015 against the Los Angeles Kings. HAPPY BIRTHDAY: Donskoi shares a birthday (April 13) with former U.S. President Thomas Jefferson, MLB players Hunter Pence and Lorenzo Cain, and NFL running back Melvin Gordon. HONOURABLE MENTIONS: Joel Ward had one goal for the Sharks, and Martin Jones turned aside 40 shots in the win. Joe Thornton had two assists and Justin Braun blocked five shots for San Jose. Ben Lovejoy had one goal and one assist for Pittsburgh.